Antique Reproduction Drawer Handle Set of 4. Available case of 25 sets of 4. 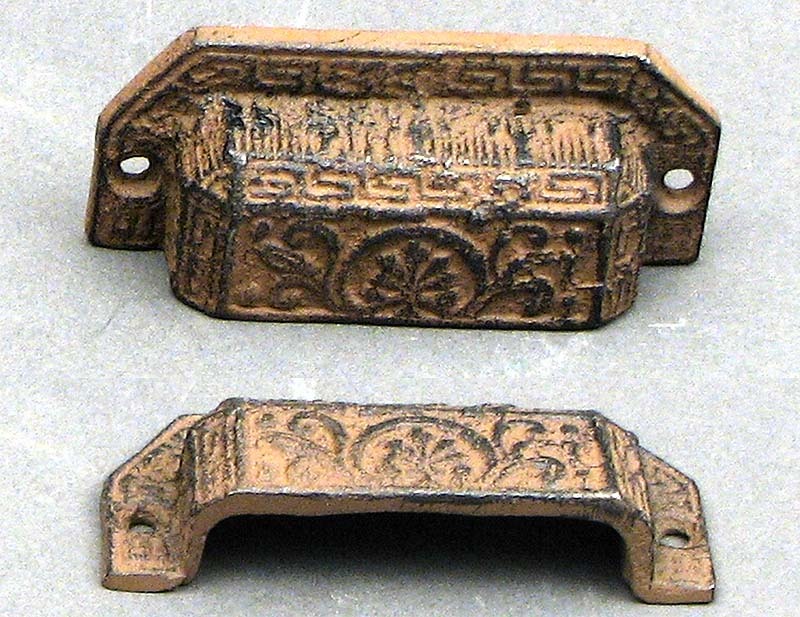 Measures: Cast Iron drawer box handle that gives the old look to any cabinet drawer. Plenty of room for fingers to slide in and pull. Measures: 3 5/8" X 1 1/2" X 3/4".